On today’s episode of Live with Steve Landers CDJR: Tim McPhate is quizzing our salespeople about presidential trivia in celebration of Presidents’ Day. Plus, we’re talking Ram Truck Month! 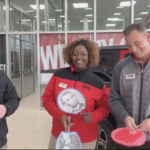 On today’s episode of Live with Steve Landers CDJR: Tim McPhate is introducing us to a couple of new salespeople — Dustin Sahlmann and Seth Hunt — and playing a messy game of car trivia. 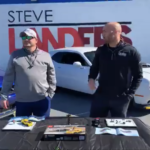 On today’s episode of Live with Steve Landers CDJR: Justin Morgan and Nic Jones are putting together a new set of Dodge LEGO cars just released. 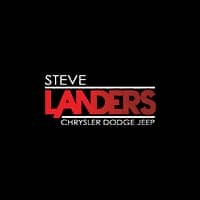 On today’s episode of Live with Steve Landers CDJR we’re getting to know some of our salespeople. Silly String may be involved. 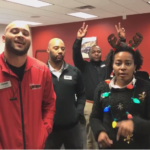 On today’s episode of Live with Steve Landers CDJR: Justin Morgan, Tim McPhate and Jonathan Acklin are playing Christmas games and trying to beat our friends at Steve Landers Toyota! Who do you think will win? On today’s episode of Live with Steve Landers CDJR: Justin Morgan, Bren Mitchell and Isom Kelly are singing some Christmas songs in the back of a Chrysler Pacifica. 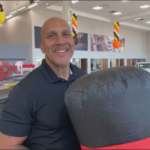 On today’s episode of Live with Steve Landers CDJR: Bruce Baker joins Tim McPhate to help us get ready for Thanksgiving and to tell us about the perks of buying Certified Pre-Owned. 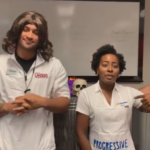 On today’s episode of Live with Steve Landers CDJR: we’re taking on Victoria Keith and her team at Steve Landers Toyota in our Halloween crossover competition! 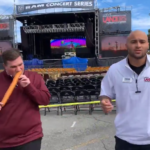 On today’s episode of Live with Steve Landers CDJR: Justin Morgan & Tim McPhate are taking us on a tour of some of their favorite things at this year’s Arkansas’ State Fair. On today’s episode of Live with Steve Landers CDJR: we’re kicking off our 6th Crush for a Cure. 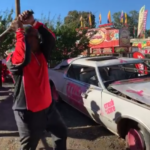 Our cars are ready to be smashed!